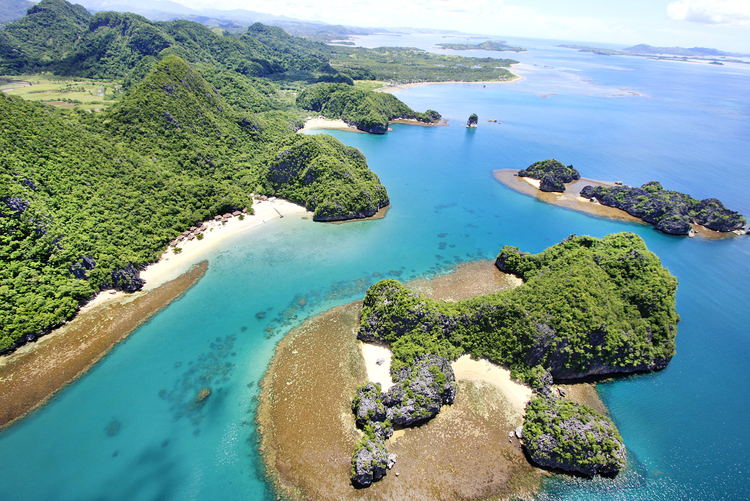 Caramoan Island is located in the lower eastern part of Camarines Sur in the Bicol region of the Philippine archipelago.It’s a first-class municipality, a rugged place of land extending into the waters of the Maqueda Channel on the north and east and Lagonoy Gulf on the south. It has a 4,000- hectare limestone forest well endowed with a rich diversity of flora and fauna. It boasts of having perfect white sand beaches, tranquil lakes, deep caves, coves and rich marine life. Great ocean adventures for kayakers, snorkle and scuba dive to experience the diverse marine life, trek and search for the enigmatic lagoon, rock climb the limestone cliffs, explore the caves or just star gaze at night. The Caramoan peninsula possesses an array of majestic natural wonders, where you can can get up close and feel the serenity of nature, it’s the perfect place for your dream vacation getaway. 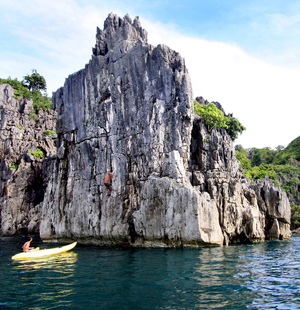 Truly It's More Fun in Caramoan!